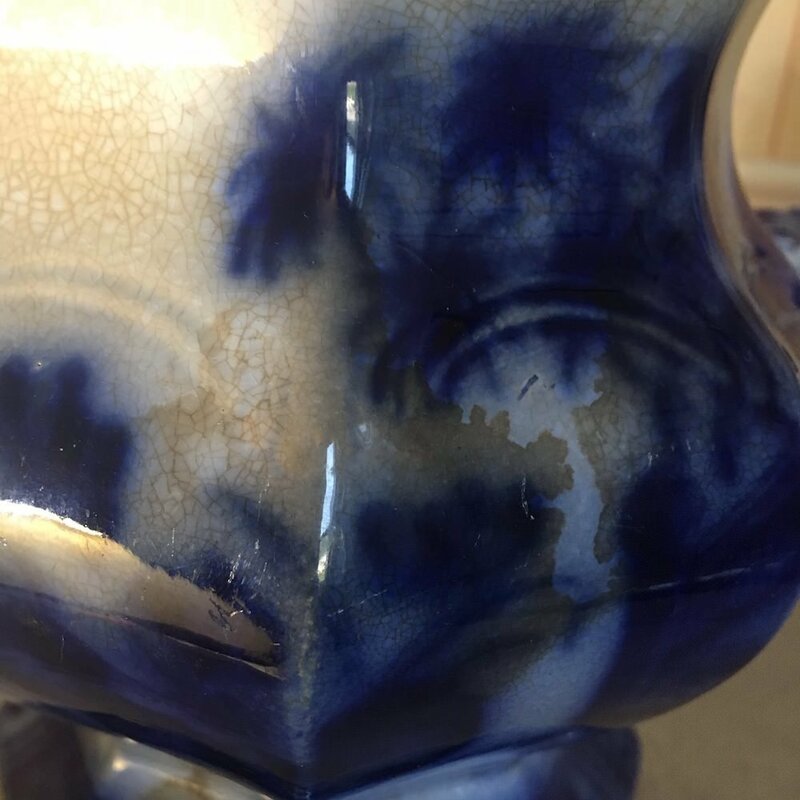 Why look for perfection in pottery whose collectibility was born from imperfection? 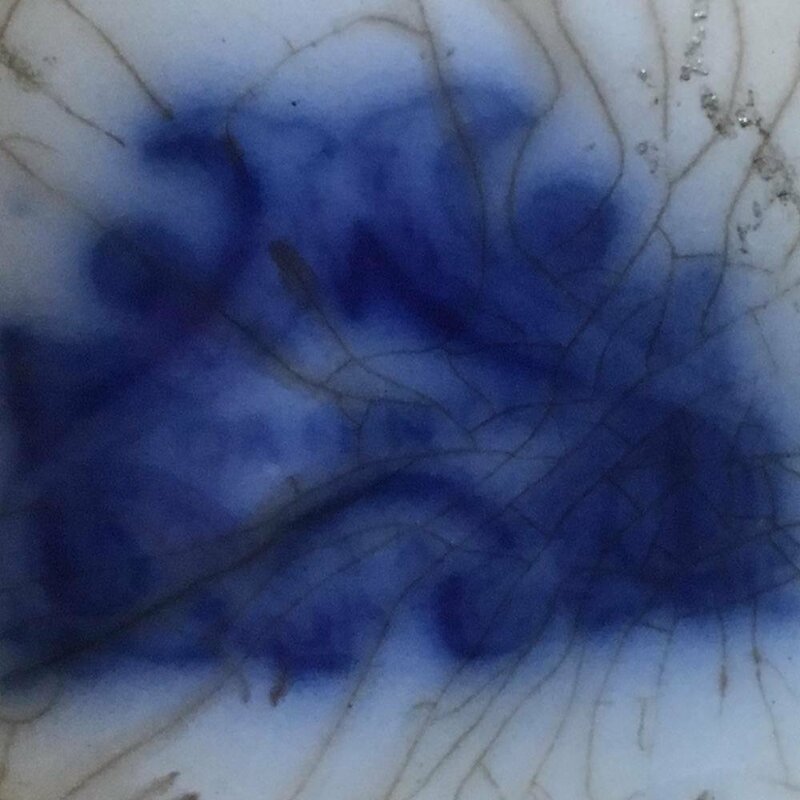 The smudged look of flow blue transferware started as a mistake, according to most sources. Yet today's collectors prize the most perfect pieces, which is lucky for me, since I end up with gorgeous items like this one! 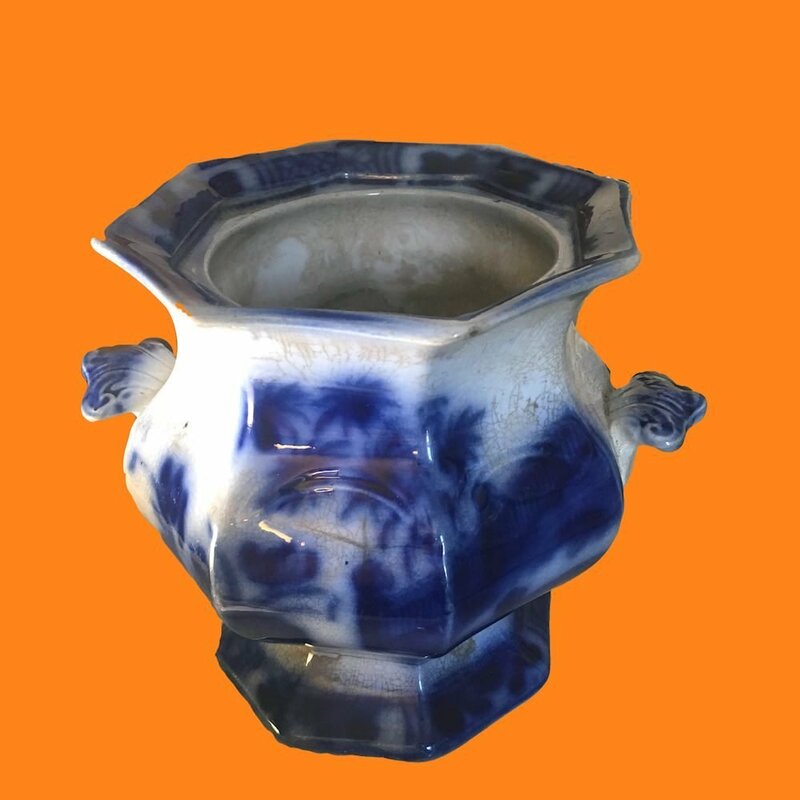 The shape of this large sugar bowl is identical to Wedgwood's Chapoo, though the marking are different. 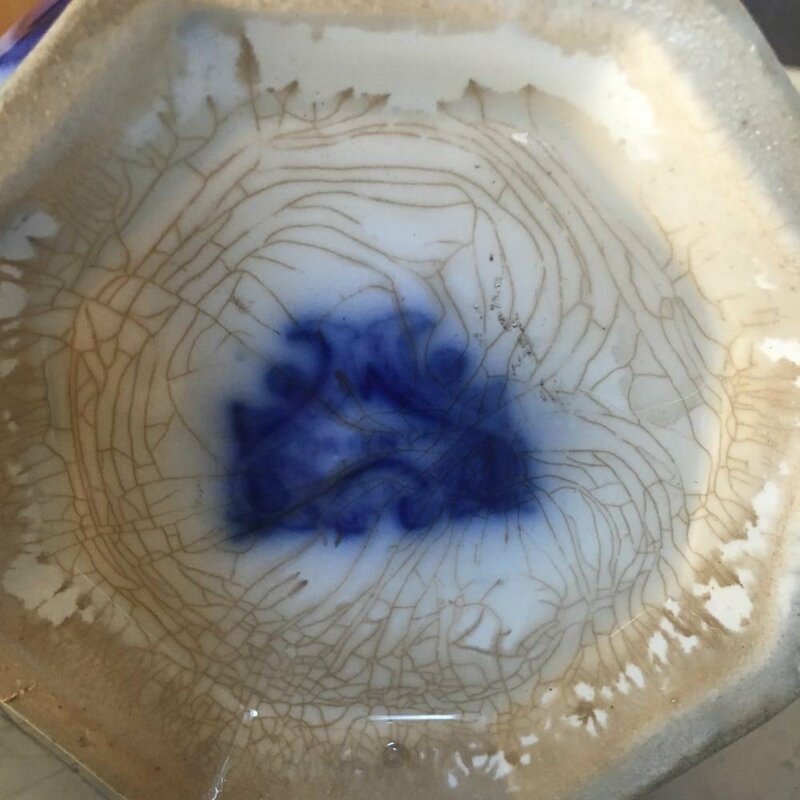 Several makers had patterns called "Oriental," but this one is just marked "Orient," and I haven't found one exactly like it. It's certainly English, and likely dates to the mid-1800s. I'm sure there was a lid at one time. Now, covered with gorgeous brown crazing that contrasts so nicely with the blurred bamboo pattern, it would make a terrific pot for a bonsai tree or other small, special plant. CONDITION:No chips or cracks, but considerable distress. OTHER CONDITION NOTES:Some of the brown crazing is probably staining. We prefer not to alter its condition, but you're welcome to try. MEASUREMENTS:5.5" D top opening; 7" across handles; 4" D at base. 5.5" tall. THE FINE PRINT:This is an item that's prized for its imperfection. Buy (or don't buy) accordingly!